Kyle Duke Mixtape – 2021 Toronto Floor General! 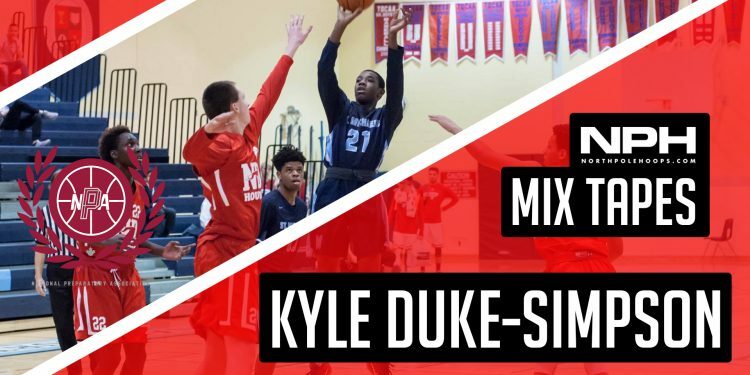 Kyle Duke is a 2021 prospect for the St Mike’s Blue Raiders, but you wouldn’t notice it by watching his play, already producing at the senior level. At 6’1, Duke has great size at the point guard position combined with supreme confidence and a bag of tricks. He is very crafty with the ball in his hands, with the ability to get anywhere on the floor to create for himself and teammates. Early in his career, Duke is establishing himself as one of the top prospects in his respective class. Noah Kirkwood Mixtape – CRAFTY 2018 Canadian guard! Crowd Goes CRAZY, Taylor Boers Buzzer Beater with 1.5 Seconds! Canadian women’s National Team Roster Released!